These small creamers in marigold sell for between $10 and $15. Butter dishes are found occasionally: One of these in marigold sold in 2010 for $30. 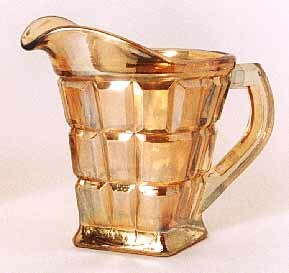 In 2012, a creamer, sugar bowl, and covered butter (with a pinpoint on the base) sold for $10.